Rockcliff recorded another powerful performance away at Houghton, and although they were missing a number of first team regulars, the players who stepped up slotted in seamlessly. 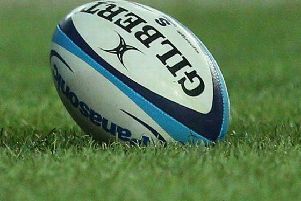 The Red and Golds scored fourteen tries as they made in 25 wins from 25 games in Durham and Northumberland Division Two. Harry Ramage top scored with four tries, Stephen Pentland added two, and individual scores came from Tom Reid, Dale Harrison, Rob Straker, Ben Butler, Jamie Fenwick, Alex Hayton, Jack Bland, and the versatile Josh Donnelly. Rhys Johnstone kicked 12 conversions for a 24 point haul. Rockcliff finish their league season next Saturday with a home game against Ashington. The game will be followed by the players’ dinner and awards night.